Two Glasgow MPs have joined forces to fight for victims of asbestosis and pleural plaques who, they say, are being ‘stonewalled’ by HMRC bureaucracy. 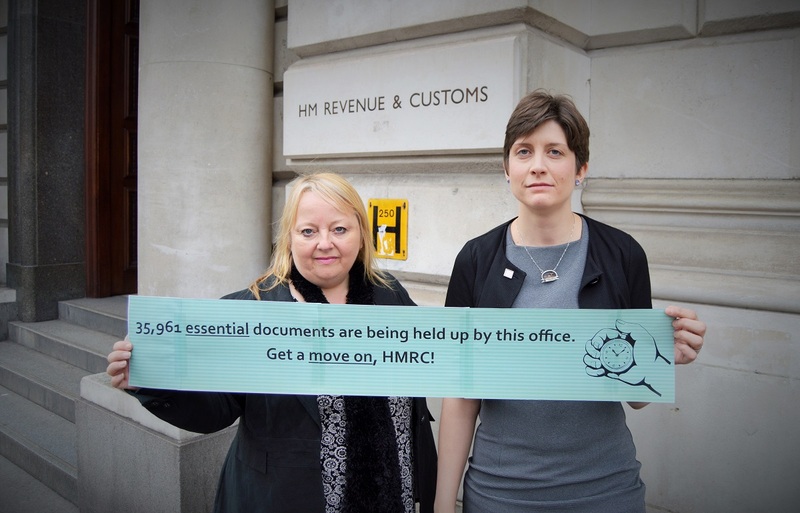 Anne McLaughlin, MP for Glasgow North East, and Alison Thewliss, MP for Glasgow Central, have used recent constituency cases to highlight an enormous backlog at HMRC, which is preventing victims of asbestosis and pleural plaques from progressing compensation claims. Figures uncovered by the SNP duo suggest that almost 36,000 requests to HMRC for employment history schedules – which are essential to progressing the claims – are sitting, backed up in Government offices. Solicitors representing those with pleural plaques and asbestosis have said that some requests for employment history schedules to be released are taking up to 14 months. “When my constituent first contacted me about this, he had already been waiting a year for HMRC to release his employment history. Quite simply, his compensation claim couldn’t progress without this. Unfortunately, it took a letter from me to the Chancellor to get this information finally released, which really shouldn’t be necessary. The two MPs have launched an online survey, calling upon those whose claims are still pending to come forward and share their experience. They are also writing to charities and working men’s clubs all across the UK to raise awareness of the campaign. In addition, they have sought a meeting with Treasury Ministers who are responsible for overseeing the department working to progress requests for employment schedules. “It is increasingly clear that, for whatever reason, people are being stonewalled by HMRC inefficiency, which means that compensation claims- some of which are time barred – cannot be progressed without an employment history schedule. “We have written to Treasury Ministers, asking for an urgent meeting to discuss this backlog. “It beggars belief that the Government could set-up the white elephant that was Concentrix to go and proactively hassle folk over tax credits – often needlessly – yet we find out there are tens of thousands of people being held back from getting compensation because another Government department can’t get a move on.